Get rid of your pipe problems in an instant with the help of the Great Value Professional Strength Drain Clog Remover Gel. This product is formulated to remove tough clogs in standing water and address slow running drains in bathroom and kitchen sinks, bathtubs and garbage disposals. The Great Value drain cleaner acts fast and does not require professional intervention to apply. So the next time your drains are backed up, you can simply pour this into the clog and not have to call a plumber. 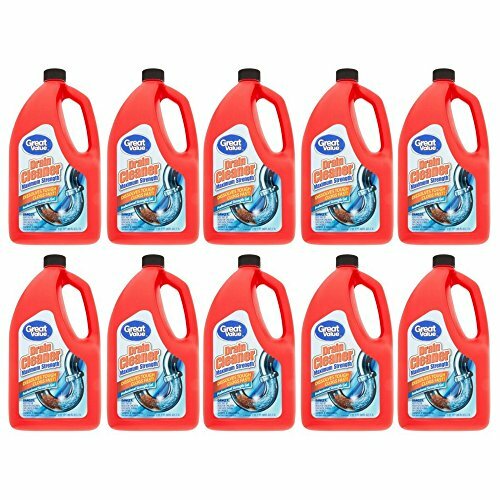 This strong drain cleaner comes in an 80 fl oz bottle.